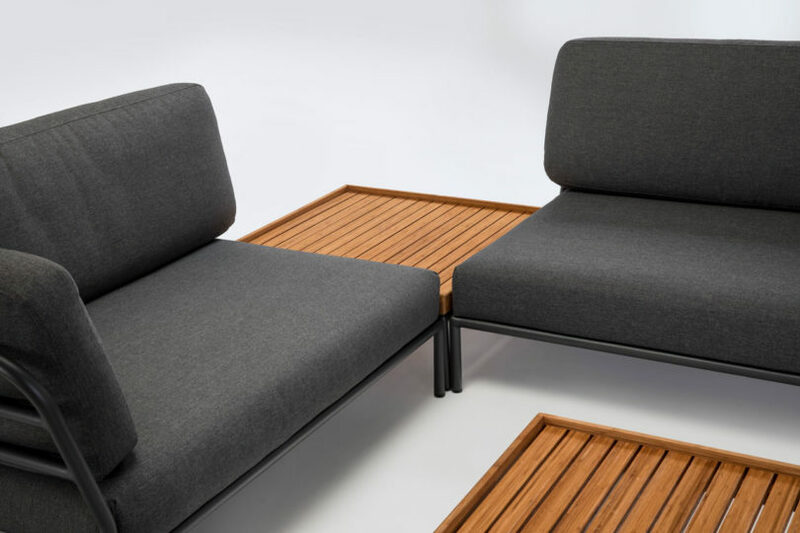 Designed by Danish designer Henrik Pedersen for HOUE, the LEVEL Outdoor Lounge is a modular seating system for the outdoors with the ability to create endless configurations. 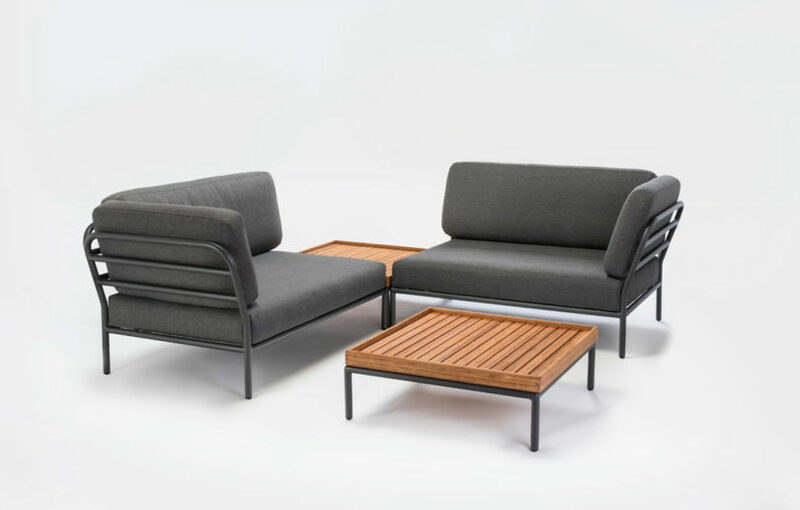 The collection consists of six modules – one left and one right sofa, a lounge chair, an ottoman, coffee table, and side table – that can be rearranged into the perfect setup. 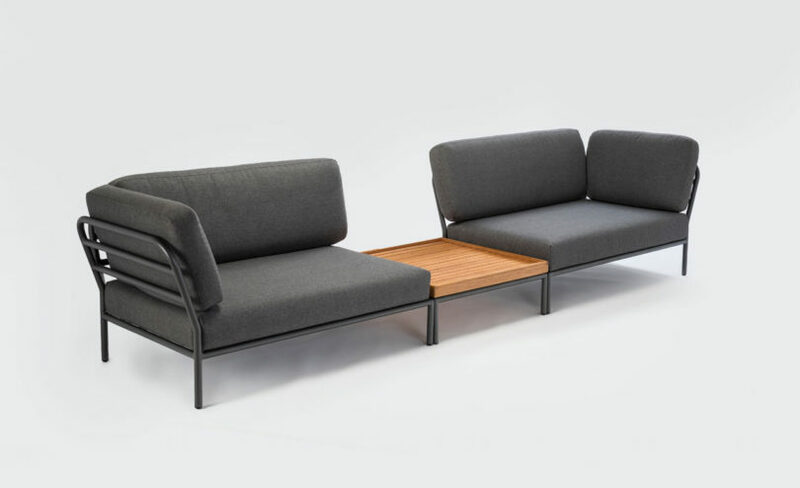 The bases of each piece rest at the same level to create a linear and modern feel. 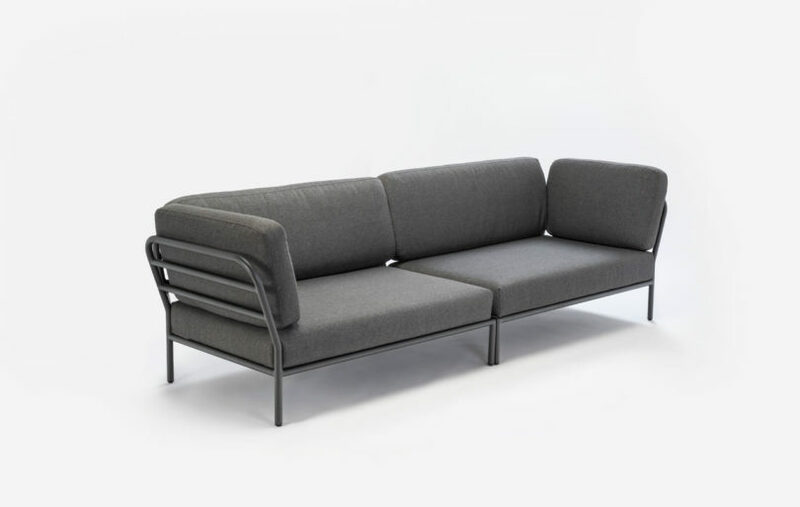 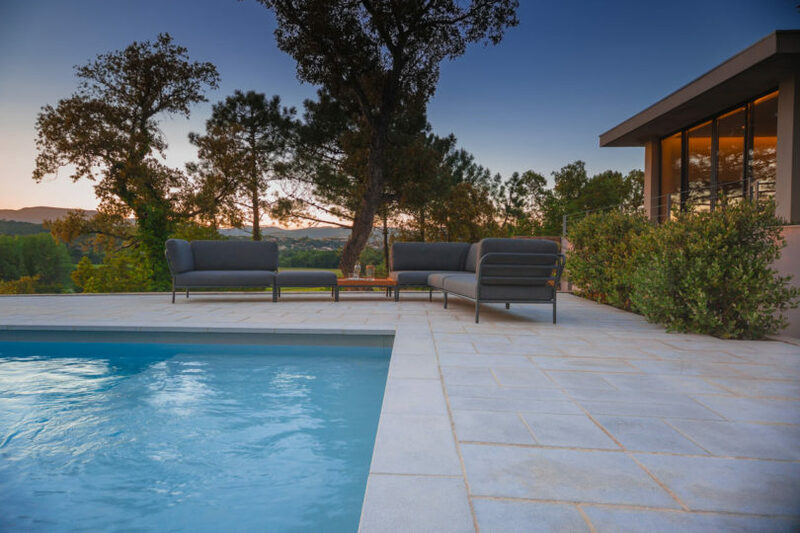 The powder coated aluminum frames have tilted backrests for relaxation that appear visually light while the dark gray upholstered cushions suggest comfort.